We exist to grow Christianity in every nation. TEN's Biblical training equips disciples for Global impact. We operate with these values at the forefront of all we do. We exist to carry out Christ's Great Commission. This is the focus and heartbeat behind what we do, the decisions we make, and the impact we strive to achieve. We focus on the most urgent needs with opportunity for the biggest impact. By prioritizing our mission, we can be more successful in achieving our goals. We concentrate on growth in the areas that will have a massive impact and that can be replicated. We believe by focusing on what can be exponential, we will achieve our goals faster and more effectively. We connect & relate with others where they are. Both locally and globally, we know people and lives are what matter. We build our relationships on love and grace. 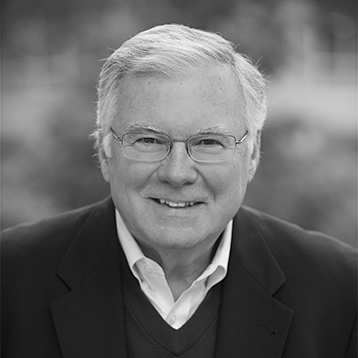 International ministry leader and award-winning author Dr. Bruce Wilkinson founded TEN as the culmination of four decades of proven global ministry and training ‘best practices’. Bruce founded TEN in 2013 because he believes that “nothing is more strategic to fulfilling the Great Commission than the training of millions of pastors and church leaders who cannot access or afford traditional academic institutions.” Since its founding, TEN has trained more than 100,000 students at 3,700 TEN Training Centers in dozens of countries, and thousands of students on its 2,500-acre beautiful training Campus on a game park in South Africa. Bruce has given keynote addresses at major national and international events with stadium audiences of 80,000 or more. His breakout book, The Prayer of Jabez, was the fastest-selling book in history with worldwide sales exceeding 20 million. He has written more than 70 books that have been translated into 30 languages, including several books that reached the number one spot on the bestseller lists of The New York Times, The Wall Street Journal, and USA Today. In addition to being in demand as a speaker and writer, Bruce is a gifted leader and trainer. He built the largest religious seminar organization in the world, Walk Thru the Bible. He trained 100,000 professional teachers in Teaching for Life Change, and launched and led the global initiative WorldTeach which recruited and trained more than 30,000 indigenous leaders in 83 nations to conduct life skills courses. He also chaired CoMission, a movement in which 87 national organizations joined together to train Russian teachers on ethics and teaching methodologies. Bruce has been a featured guest on major television and radio shows and has held private meetings with foreign presidents, as well as key leaders in the U.S. government. Martin is a graduate of the University of Johannesburg and Dallas Theological Seminary. He is responsible for taking TEN to the nations through brokering partnerships and pioneering new projects. He oversees the TEN Campus in South Africa as a training and filming hub for new international TEN courses. Since age 21 Martin pioneered, managed, networked, trained and mobilized for numerous international Christian organizations including Walk Thru the Bible, Haggai Institute, Equip and call2all serving leaders in and from over 100 countries. Martin loves to see nationals empowered, mobilized and changed thru transformational teaching, tools and training. Jerri is a licensed attorney with expertise in successful organizational development and leadership. She is responsible for TEN’s global accounting and finance, administration, legal, HR, insurance, tax, and major giving initiatives. She has led all aspects of high-achieving, award-winning programs in academic and nonprofit settings. Jerri has served as President of GSU Law's Alumni Council and on a variety of nonprofit boards that focus on international and women’s issues. She loves to spend time with her family, and be a lifelong learner through travel, conversation, and reading. Her favorite thing about TEN is its relentless pursuit of massive impact. Jill has worked in the non-profit world for over 30 years with expertise in leadership, marketing, and sales. She is responsible for the distribution of TEN’s Global Curriculum in the U.S.A. to churches, individuals, and organizations. She has a history of consistently growing the areas of responsibility she is given exponentially and with considerable profitability. Jill has served on several boards relating to outreach in the community and teaches regular Bible Studies for women. Her favorite thing about TEN is the delivery of the message that stimulates life-change in all who hear it. David is an award-winning producer and editor of documentary film, television, and video. He manages the production of video projects for TEN’s Office of Global Curriculum with emphasis on post-production supervision. His credits include broadcast documentaries, episodic television series as well as fundraising and promotional pieces. Over a 25-year career, he has earned several industry awards including three regional Emmy Awards. An avid story-buff, David loves catching up on the latest trends in fiction and non-fiction film creation. His favorite aspect of working for TEN is seeing the transformational stories of lives impacted by the Word through the course content. Carol has a degree in Computer Science, and specializes in information technology, database development, and developing, editing, and and managing textual, audio and video content. She manages TEN’s curriculum development and production for the Global Curriculum team. She has a breadth of experience in leading teams and developing content. Carol serves as GFX Team Leader in a volunteer capacity for 12Stone Church-Snellville, as well as with non-profits who ‘serve the underserved’. She loves spending time with her family. Her favorite thing about TEN is working with a team of Spirit-filled people who have a common goal of spreading God’s Word. Tim is a senior-level graphic designer with expertise in print/web and motion graphics. He is responsible for design for print material and motion graphics as related to the development of curriculum. He has worked as a designer and art director for Fortune 500 organizations such as IBM. He has also worked with In Touch Ministries and FamilyNet Television as their Senior Web Designer. Tim loves the outdoors and is a motorcycle enthusiast. He enjoys spending time exploring the north Georgia mountains and beyond. His favorite thing about TEN is the team-effort of the individuals who make up the organization, and their pursuit of excellence.